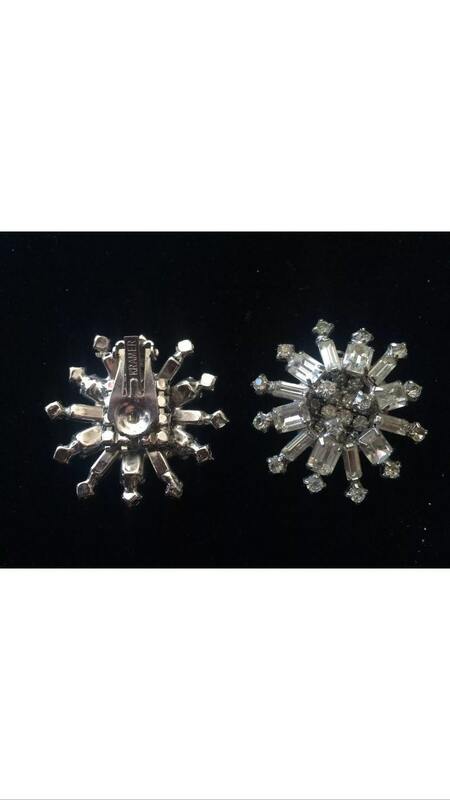 These are large signed Kramer rhinestone clip on earrings. All of the gorgeous round and baguette Rhinestones are present and intact. These stunners measure just under 1.5" diameter. 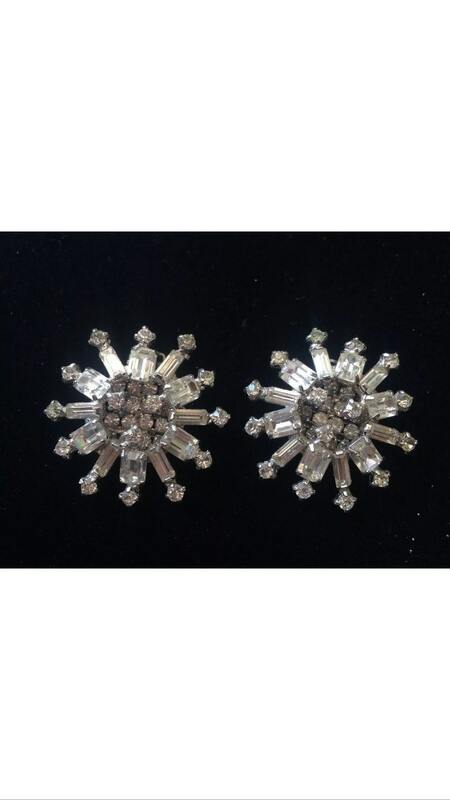 The original clip backs work perfectly and the earrings are in overall excellent condition. Wear these to your holiday party or make a party to wear them! Sheldon Hill is a real vintage jewelry store located in Ithaca, NY. Please view our other etsy listings for more high quality vintage jewelry and follow our instagram page @sheldonhill_vintagejewels.